A science teacher shares her journey through technology use in the classroom. OpenEd is a free website that contains educational videos, games and digital tools for classroom use. You can search by topic, grade level, standard or keyword. Once you find a resource you like you can favorite it, assign it to your students, add it to your Google Classroom or clone it so you can edit it. If you want to assign it your students both you and your students will need accounts. If you are a Google school there is Google single sign on, otherwise students will need to go through the process of creating an account. The advantage to using the OpenEd platform to assign the activity is that there are premade questions that go along with the resources. I tend to be a control freak and like to make my own questions (or at least edit the ones there). I would probably create my own form where I embed the resource and then ask the questions that I want. The advantage to this is that now I can distribute the form in the same method I share other resources with my students and they don't need to create an account on a new website. While it is nice that OpenEd can keep track of who has mastered the assignments you give, you can also just do that yourself in the spreadsheet that you get as a result of the form. For me I like it better as a place to search for resources and then put them on my own platform. What would your preference be? “I can’t find my textbook!” “I don’t remember getting a textbook.” Does this sound familiar to you? That is what I kept hearing at the end of every year. Then I would have to go through a big hassle of collecting money from student to repurchase the outdated textbooks that I had. I hated having to worry about students losing textbooks or that I was always replacing textbooks that I didn’t even want that included too much information or not enough information. Enter FlexBooks. FlexBooks are online textbooks from a company called CK12. I instantly liked them for many reasons, but the two big ones were that I could customize the book and that it could be posted on my website and downloaded by the students. This video does a great job of explaining how they work. While not every subject has a FlexBook they have a large list of books that include math and science books for elementary, middle and high school along with some other areas such as Writing, Astronomy, History and Engineering. 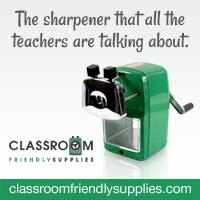 So, this sounds good you say, but how can I really use it in my classroom? I picked out a textbook that I wanted to use and then went through it to delete the things that don’t apply to my curriculum. I also added in some information that wasn’t there that I wanted to make sure my students had in their book. You can also include links to worksheets (CK12 has a workbook that goes along with most of their textbooks). Once it’s created you can save it as a PDF and post it on a web page or e-mail it to students. Even better, students can put the PDF on their computers, phones, Kindles, IPads, Nooks or other eReader. If you don’t want to customize your book you can find select FlexBooks already in Kindle or Nook/IPad/Android format. Looking for more? 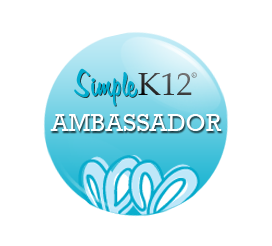 CK12 has a more interactive way of presenting information that allows you pull short concepts along with chapters into an online interactive “book” Many of the concepts include video clips and interactive quizzes. Do you use textbooks in your classroom? I haven't mentioned Problem-Attic in several years, but I thought that I'd bring it up again. Since I mentioned it last the number of questions available has more than doubled. It is so easy to search through the question bank and create tests and quizzes. For me, it's the only test generator I use. With all of the questions available, why would I pay for something else? Take a look at the video below to see what Problem-Attic is like and how easy it is to use. If you want to see my previous posts you can find them here and here. What do you use to create tests and quizzes? In my schoolwe don't ask the students to use footnotes. Rather we have students do a works cited page at the end of their document. If you are school that uses Google then you might be familiar with the autocitation feature of Google Docs. 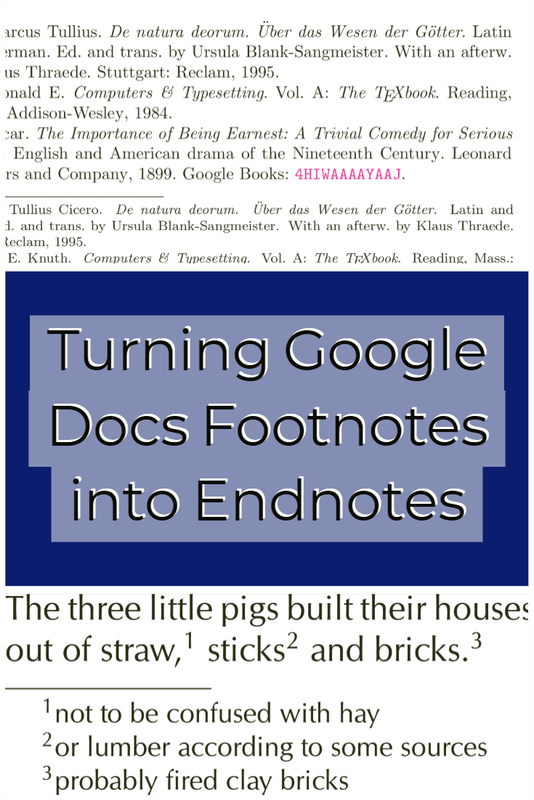 This is really helpful for students, but the problem is that it creates footnotes, not endnotes. In the past, I have had my students copy the footnotes and paste them at the end of their paper. While not terrible, students often forget or don't capture the whole citation. 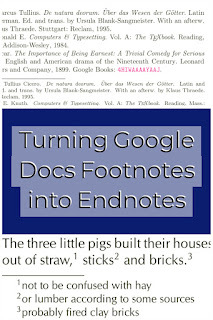 I recently came across a Google Doc add-in called Endnote Generator and I think it's just what my students need. Is this something that you think you would use with your students? Do you know of something similar? 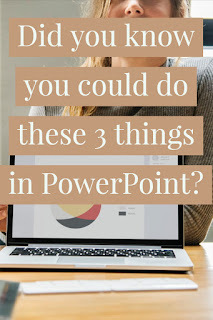 Did you know you could do these 3 things in PowerPoint? PowerPoint is something that we all know and use, but it can really do so much more than many people use it for. Here are three things that I not only like to use myself, but also teach my students how use. 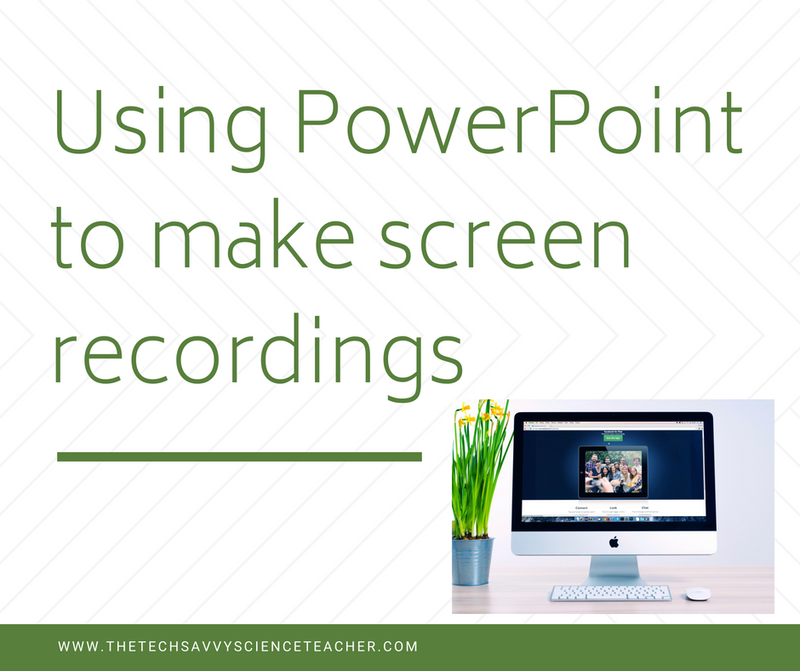 Screen recordings can be so helpful. I find myself making them at least once a month to show a colleague how something is done. It is also helpful to record directions for students especially when teaching a new skill. It's much easier to have students refer back to a video of me instead of repeating myself over and over during the same period. 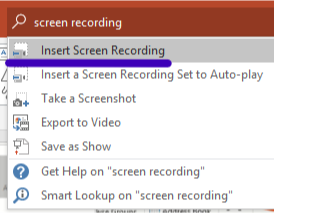 The easiest way to open the screen recording tool is to locate the box that says "Tell me what you want to do" and type in screen recording. Adding sounds can be a great way to enhance any presentation. You can add in music, sound effects or a voice recording. Sound Recordings is a great way to be able to present when you can't actually be there. The sound recording and sound upload options are found in the “Insert” menu in PowerPoint. Microsoft’s Dictate tool will let you dictate the text that you want to have appear in your slides. This can be especially helpful when working with younger students who can't spell or type well. It's something that must be added into PowerPoint, but once it's there the students can easily use it. Ipads are great to have in the classroom. When I got my first set (even though it was only 4), I was so excited to use them with my students. Then reality sets in and you need to figure out how to use them. What apps are you going to use? Where do you even look for apps? 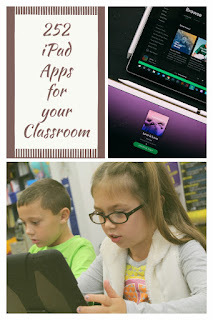 AskATechTeacher.com has created a list of her favorite iPad apps and placed them into categories. 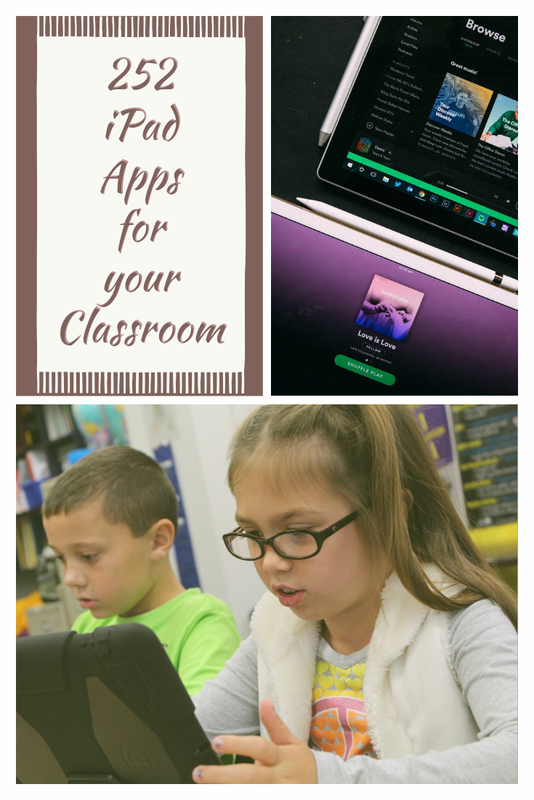 Even if you think you have enough apps for your classroom iPads, I suggest that you take a look at her list and see if you can find anything new. What are some of your favorite iPad apps that you use in the classroom? Once you click on Insert Screen Recording, PowerPoint will minimize that the following box will appear. You will want to click on select area and highlight the area you want to record. You can choose to record part or all of the screen. You can then select or deselect Audio depending on if you want audio also recorded. If the box is gray, then it is selected. You can do the same for Record Pointer. Once you are ready click on the red Record button. You will get a 3-2-1 countdown and then your recording will start. The box will disappear and your screen will be recorded. When you are done with your recording you can either move your mouse up to the top of the screen and the box will appear again for you to stop the recording. You can also press the windows button, shift and Q at the same time to stop the recording. 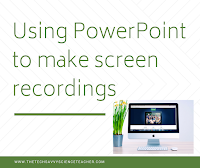 The recording will now appear on a side of your PowerPoint presentation. You can right click on it to save the video, but you also have the option to do some editing. The editing that you can do is pretty basic, but the most useful feature is the ability to trim the video. To access this, click on Playback in the Video Tools ribbon and then you will see Trim Video. You can only trim to beginning or ending, but it's helpful to get rid of the extra stuff that you accidentally record. I hope this helps you in your screen recording endeavors. Leave a comment if there is something else that you would like to learn about. The Tech Savvy Science Teacher by Cristina Conciatori is licensed under a Creative Commons Attribution-NonCommercial-NoDerivatives 4.0 International License. (c) 2011-2105 Cristina Conciatori. Awesome Inc. theme. Powered by Blogger.